Suffering from back pain or neck pain, whether it be chronic or acute, can be anything but funny. The pain can be significant enough to have a negative impact on your daily life. That is why many people find themselves turning to alternative therapies to find a way to manage their pain as well as to treat the underlying cause of pain. Let’s take a look at the professional assistance that a chiropractor can provide for people who suffer with back pain. We will discuss what chiropractic health care involves and what type of treatment plan you could expect to receive. What Does Chiropractic Health Care Involve? This is a non-surgical treatment which focuses on the nervous system and the musculoskeletal system. Since a chiropractor will generally work on spinal manipulation, many spine problems can be addressed with this choice of treatment. Patients suffering from neck issues, herniated disc and lower back pain may see significant improvement with the help of such manual therapies. What Is The Typical Treatment Plan? The treatment which is a reputable and skilled chiropractor provides for each of their patients will be unique to their specific needs. For example, following an intensive manipulation therapy for a spine problem, the patient may see continued improvement, as well as a better long-term result by having maintenance spinal manipulation. Such a treatment plan would be scheduled by the chiropractor to meet the specific needs of the individual patient. For people who have not attended a chiropractor before, the venture may seem quite daunting. 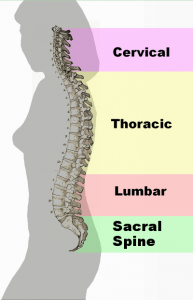 Understanding how a chiropractor treats spinal problems may set your mind at ease. The manual manipulation carried out by the chiropractor involves a high velocity thrust. The aim of this movement is to reduce nerve irritation, restore the range of motion and generally treat the underlying problem. This movement is often referred to as a chiropractic adjustment. Chiropractic mobilization is another treatment which may be used. This involves a low-velocity manipulation which may stretch muscles and joints, again with the aim of increasing the range of motion in the affected area. Of course, the level and quality of treatment a patient receives will only be as good as the chiropractor who is providing the treatment. Take for example Dr Allen Maryott of the Rocky Hill Chiropractic Clinic, licensed in both New York and Connecticut he received his Doctor of Chiropractic in 1984. He believes in a holistic approach, in other words he treats you the patient, not simply the pain. This approach provides a focus on goals that can have a positive impact on the life of the individual. Choosing to enlist the help of a professional chiropractor, in particular a specialist like Dr Maryott, who boasts both experience, skill and passion, can lead to an incredible, positive turn around in your level of health, mobility and general sense of well being. This is much due to the nature of this holistic, and patient-focused treatment. 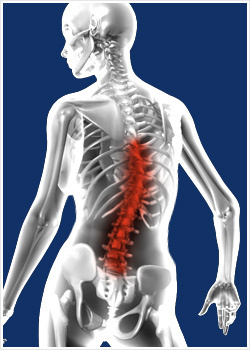 Get Help For Your Spine Problems By Clicking Here!